In the past 15 years, Google AdSense has greatly rewarded publishers (who are partners of the program) for contributing meaningful and engaging content online. On that, they have recorded over $11 billion paid to publishers of which people like: Michelle Schroeder-Gardner and Linda Ikeji makes an estimated sum of $70,000 monthly (which is some people annual salary) from AdSense while some fresh publishers receive $200, $1000 and above monthly just for being their own boss. During this period Google AdSense has rolled out ways for mobile app developers to monetize their applications and also those who participate in providing video content on YouTube or another source approved by AdSense. 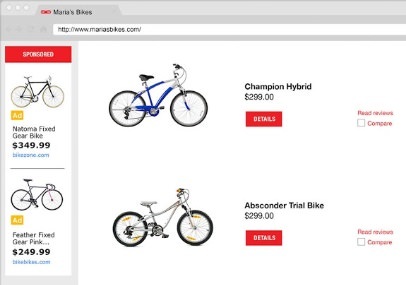 This new rollout is a way for online retail or commerce-focused websites to be monetized with Ads. It allows these site owners place relevant Shopping ads, like those you see running on google.com, onto your website. Like other AdSense products, you earn revenue based on the performance of those ads on your website. You will be able to monetize all site traffic, from mobile to desktop: mobile is where users compare products. Since AdSense for Shopping is designed for all devices, retailers and commerce publishers can easily monetize their non-converting mobile traffic. Expand your product offerings: with over one billion products available on Google Shopping, you can help your visitors find what they are looking for and keep your visitors coming back to your website. Enhance the user experience: display rich product ads that are contextually relevant to the users visiting your website. Note: According to AdSense blog post "they will be working with a limited set of retail and commerce publishers" for now with the intention to create room for more publishers as soon as possible. But there is only one way to find out if your retail or commerce site(s) will be approved for partnership on AdSense for Shopping and that is by expressing your interest filling their form.